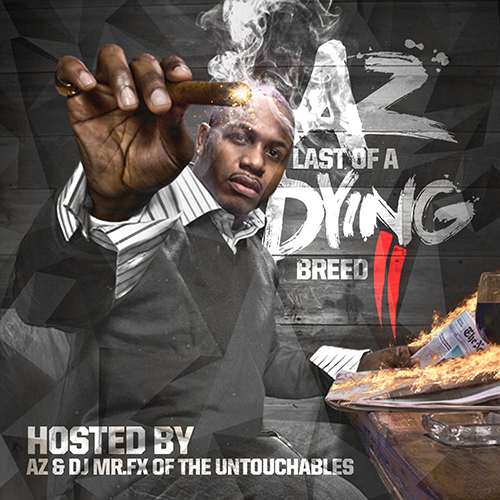 While we wait for AZ to release his long awaited Doe or Die II album, he comes back with part II of his Last of A Dying Breed mixtape series. Just like the last one, this jawn is filled with new, unreleased, and rare gems from Sosa. The 25 tracks feature Cormega, Kool G Rap, Nas, SWV and more with production from Statik Selektah, Cookin Soul, Salaam Remi, The Heatmakerz, Fizzy Womack and Frank Dukes. Get it all below, and look for Doe or Die II to drop later this year. Previous Article Raekwon ft. Mic Geronimo & The Kid Daytona – T.U.R.K.E.Y.